Hi everyone! Welcome back for a new Inspired by Pinterest episode. 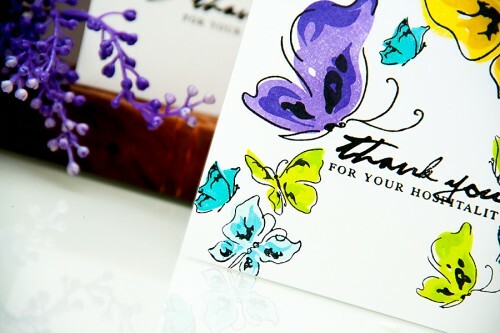 Today I’m sharing two one layer Thank You cards featuring a beautiful stamp set from Altenew. This is another post from the bi-weekly “Inspired by Pinterest” series. In this series I use images found on Pinterest as inspiration for my cards. You can view all posts from this series by clicking here. Like I said, both of these are very simple one layer cards. 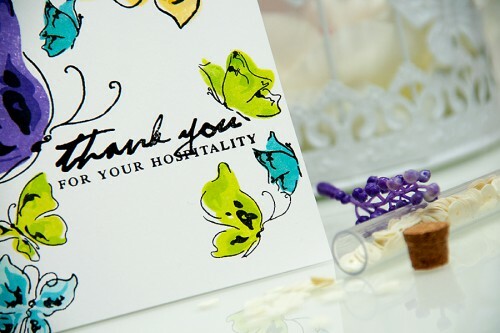 I started making both by stamping a “Thank You” sentiment and adding an additional line saying “For your hospitality”. I used my favorite Versa Fine Onyx Black ink from Tsukineko, its a rich, fast drying pigment ink. 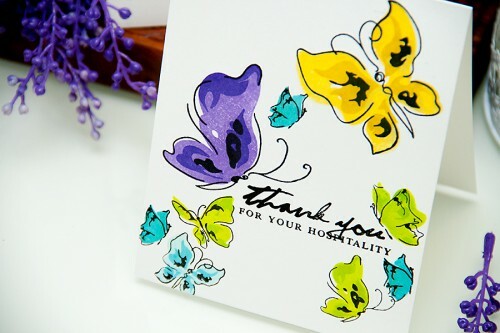 Perfect for detailed stamping. 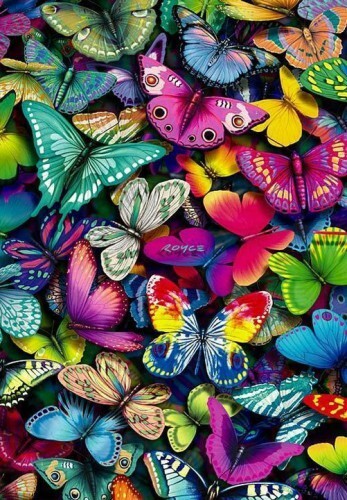 I used that same kind of ink to stamp the outlines of my butterflies. You can see how nice and crisp it turned out. 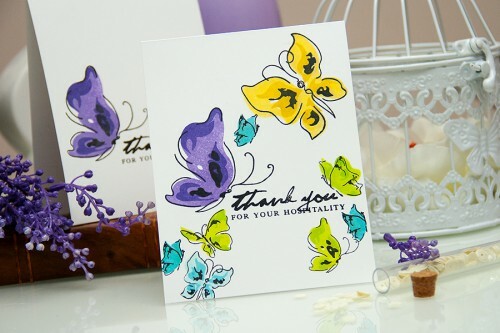 To created this beautiful painted look and add color to my stamped butterflies I used inks from Spellbinders, two shades of one color for each – I have two yellows (a lighter and a darker), two purples (a lighter and a darker), two greens (a lighter and a darker) and two light blues (a lighter and a darker). Like this video? Please give it a thumbs up and share with your friends. Thanks! Loved your pretty cards, thanks for the video! My godness your card is amazing! Your cards are simply lovely. I’ve bought the stamp set but haven’t inked it up yet. You’ve inspired me! So very pretty, Yana – love the bright colors!